Two large natural skin heads stretched over a light-weight plywood body, gives this 8 ¼ pound tupan a deep booming voice. On this version of the drum there is no shoulder strap provided. The edges of the heads are rolled and sewn, and then attached to the frame by cording stitched back and forth from head to head. 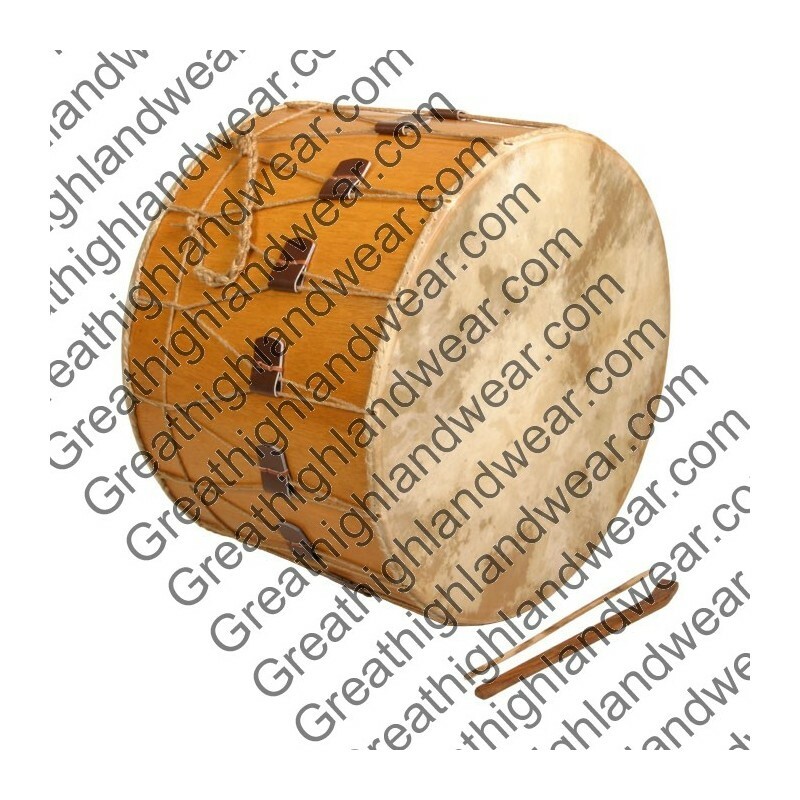 The drum can be tuned by adjusting the leather tabs over the cords. Similar large double-headed frame drums have been used in ceremonies, festivals, and in wars throughout the Middle East for centuries; such tupans accompanied Alexander the Great’s armies as the marched from Macedonia east to the Indus River. Today they are common in Bulganian folk music, where they are known as Tupan. In Turkey they are called davul or tabl baladi. This instrument is most often an accompnaying instument used to mark the rhythm, but it can be played solo as well. The two heads of the drum are played with two beaters. The dominate hand plays the accented beats with the larger thicker beater, called a tokmak. The end of the tokmak may be rapped in cloth to create a muted sound. The other hand holds the thinner switch and plays rapid rhythms. An accomplished drummer will get various sounds from different parts of the two heads, as well as rapping the wooden body. 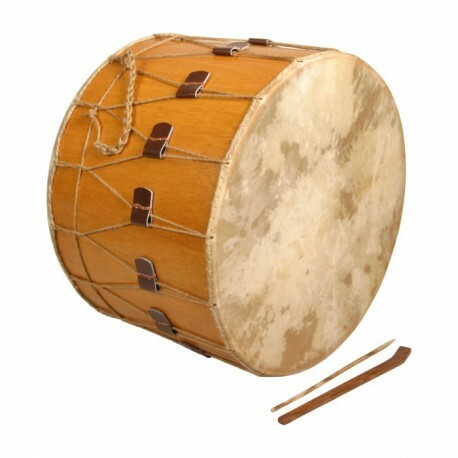 This Tupan has a 26 inch diameter and an 18 inch deep frame body, and comes with two beaters.